March this year saw the release of the anticipated BREEAM 2018 New Construction scheme. Although some credit updates are minimal to keep up with the ever-improving Building Regulations and other key industry standards, some sections have seen major changes, including Transport, Materials and Land Use and Ecology (LE). An overhaul of the LE section has been long awaited – there has been little change in the methodology since the 1998 scheme, with many criticising the over-simplified calculation methodology and lack of commitments for long-term maintenance of newly implemented ecological features. 1. Although in some situations you don’t have to, it pays to appoint an ecologist. There are now two ‘routes’ that design teams can potentially use when considering the LE credits. Where a minimum of a ‘Very Good’ BREEAM rating is required, a Suitably Qualified Ecologist (SQE) should be appointed and Route 2 selected to maximise the credits gained. Route 1 involves a member of the design team carrying out the ecology assessment themselves, using BRE guidance – a suitable person to carry out this work may be a landscape architect, arboriculturalist or even an ecologically minded architect. This can only be carried out where a site is deemed to be of low ecological value by the BREEAM, CEEQUAL and HQM Ecology Risk Evaluation Checklist, which must be completed by the selected member in the first instance. The other methodology using Route 2, which is mandatory for sites that aren’t of low ecological value, is carried out by a Suitably Qualified Ecologist (SQE). There is a catch though – only 6 out of the 13 credits can be awarded if Route 1 is used, whereas all 13 are available if an ecologist is used – see the table below giving a summary for each issue. We therefore are of the opinion that in the majority of cases, where a minimum of a ‘Very Good’ rating is required, an SQE should be appointed to maximise the credits gained for a comparatively low cost per % score increase. In previous schemes, it was sometimes possible to appoint an ecologist at the late design stage before site clearance began, to pick up some last minute credits. Changes to the BREEAM 2018 scheme mean this is now not the case – there is a strong emphasis on the early involvement of an SQE, with prerequisite criteria making it challenging to gain LE credits when not appointed before the planning stage. If you are unsure as to whether BREEAM and therefore an ecologist will be needed on your scheme, send us an email – we can help to confirm either way if BREEAM is required, and an ecologist can give some initial recommendations as to surveys, putting an early stage time-stamp on the ecologist interaction. BREEAM 2018 places heavy emphasis on communication between the ecologist and the design team throughout all of the LE credits, again from an early stage. This can be demonstrated by email communication and meeting minutes where the ecologist reports on the site’s findings and any further surveys needed. 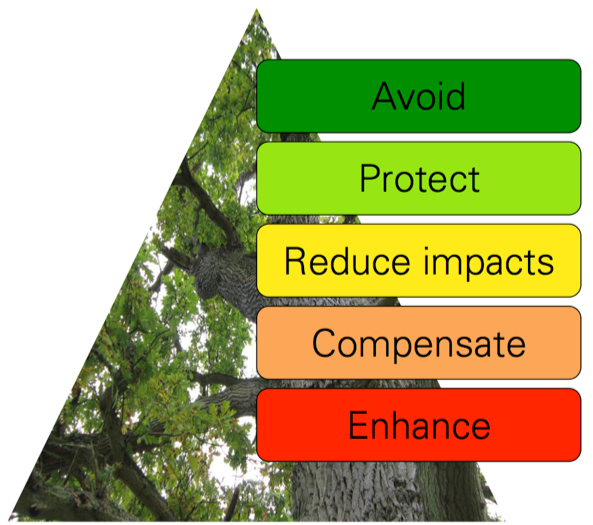 The ecologist can then discuss the ecological outcomes and constraints for the site with the team, and ecological enhancements can be agreed on together. To summarise – keep you ecologist in the loop! It is mandatory for the project to comply with all UK and EU legislation, as this is now a pre-requisite for all LE credits – this means that all of the recommended protected species surveys must take place. 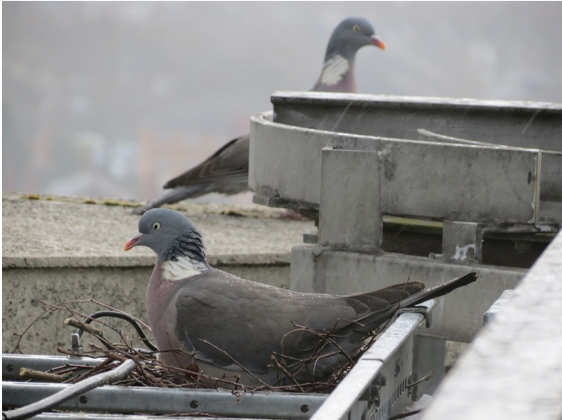 Previously, missing a nesting bird site check or bat survey would have only impacted credits for LE 02 and LE 05, however now if these are missed, no LE credits can be achieved for the scheme. The early identification of ecological issues is also key for gaining credits, so it is vital to consider these at an early stage of a project. Reduction or limitation of negative impacts. Enhancement, considering the capacity and feasibility within the site, or where viable, off-site. Early stage appointment of an ecologist allows consideration of the above, for example, protection of ecologically valuable habitats versus their removal, to give better ecological outcomes for the site and meet the BREEAM criteria. After over a decade of no change, there is a new methodology to calculate the change in ecological value as a result of the development. The calculation has moved away from the out-dated area-weighted species approach, to one based on the Defra biodiversity metric. This takes into account the condition and distinctiveness of different site habitats, and various risks to ecological recommendations to give a more accurate idea of the site’s long term ecological gain. The calculation can be relatively complex, especially for larger sites – our tip is to get the ecologist to do the maths! The LE 04 ecological recommendations criteria require the team to implement features that will benefit local wildlife populations. Information on which species to target can be determined from a desktop study, local policies, Biodiversity Action Plans or local wildlife groups. It is also now possible to implement ecological enhancements off-site within the site’s zone of influence, i.e., areas connected to the site that could be impacted by the works. This can give more flexibility on larger developments with ecologically valuable habitats that extend out from the site such as tree lines and hedgerows. Developments can now be rewarded when synergies are present across different credit issues. An exemplary credit is available for LE 02, which links to Hea 07 Safe and healthy surroundings, Pol 03 Minimising watercourse pollution, and Pol 05 Reduction of noise pollution. 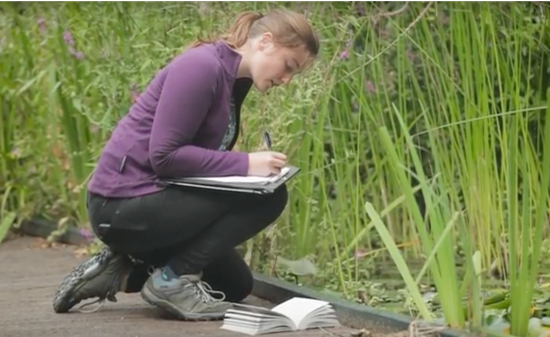 This aims to encourage design teams to think about the benefits of wider site sustainability related activity on wildlife populations, and how green infrastructure such as green roofs can have not just have a positive ecological effect, but a social gain too. As encouraged by the Strategic Ecology Framework, themes of establishing connectivity for wildlife populations across and beyond the site are also present throughout the LE credits, as well as incorporating ecosystem services such as pollination, flood and drought regulation, soil formation and food provision. We would recommend appointing an ecologist with an in-depth understanding of the whole BREEAM assessment, with knowledge across all of the credit issues to understand how credit synergies can be optimised. LE 05 previously placed focus on the contractor, requiring them to carry out a number of actions such as appointing a ‘Biodiversity Champion’, toolbox talks and keeping a biodiversity logbook. Although the management plan is still requirement, a credit is instead awarded when concrete commitments are made to maintain the site’s ecological features – this will typically fall on the building occupier, and will ensure that the enhancements are not left un-managed after handover. 10. Do I need an ecologist even though there’s nothing of value on the site? This is one of our most popular questions when it comes to BREEAM Ecology! Although it may seem counterintuitive to have an ecologist survey a site that is made up purely of buildings, concrete and weeds, this is usually a good thing in terms of gaining LE credits as there is nothing to be avoided, protected or replaced. You are likely to gain a high number of LE credits for an ecologically simple site compared to a complex one due to a lower ecological baseline that will be improved on. However, on these simple sites a design team member can alternatively be used as described in point 1 – so the answer depends on how many credits you want to target. Therefore, if you need to maximise the number of credits you are gaining, we would strongly recommend appointing an ecologist, no matter what your site is like. To summarise, BREEAM 2018’s new Land Use and Ecology section is certainly an improvement on previous schemes’ – a more holistic, landscape approach is used, which gives greater benefits for the site’s local wildlife populations and the eventual inhabitants of the development. Particularly important is that the new criteria mean that the ecologist is no longer appointed as an afterthought on a project team, but is integrated into the design team to give the best ecological outcomes for the site. Want to know more about the changes, improvements and potential pitfalls of BREEAM 2018? Read our BREEAM 2018 update summary here.